The best jewels are not only beautiful, they also carry some symbolism for the women who wear them. 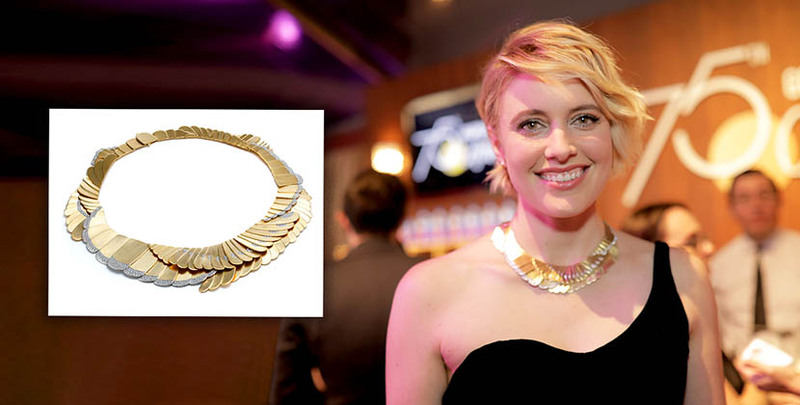 Greta Gerwig’s Golden Globes necklace was all that. The Lady Bird director’s long-time stylist Cristina Ehrlich told me the backstory of the special design. With this simple directive, Cristina reached out to Tiffany. 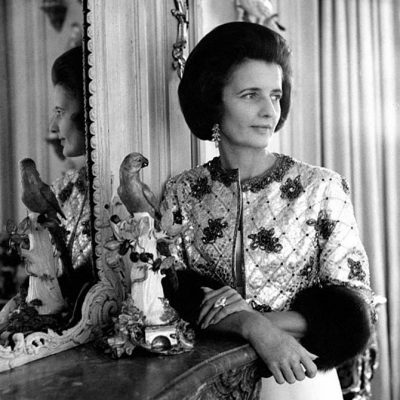 Among the jewels she reviewed from the great American firm was a vintage necklace from its Archive Collection. 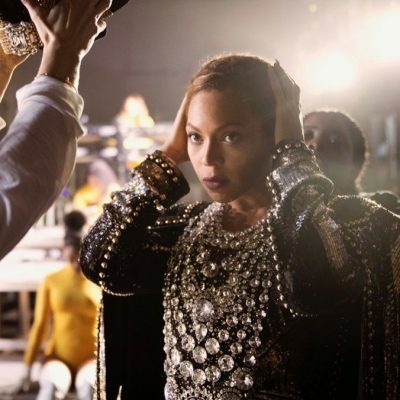 While the piece looked as though it had been made for Greta to wear to the event, it was conceived by a jewelry designer named Angela Cummings who worked at Tiffany from 1967 to 1983. 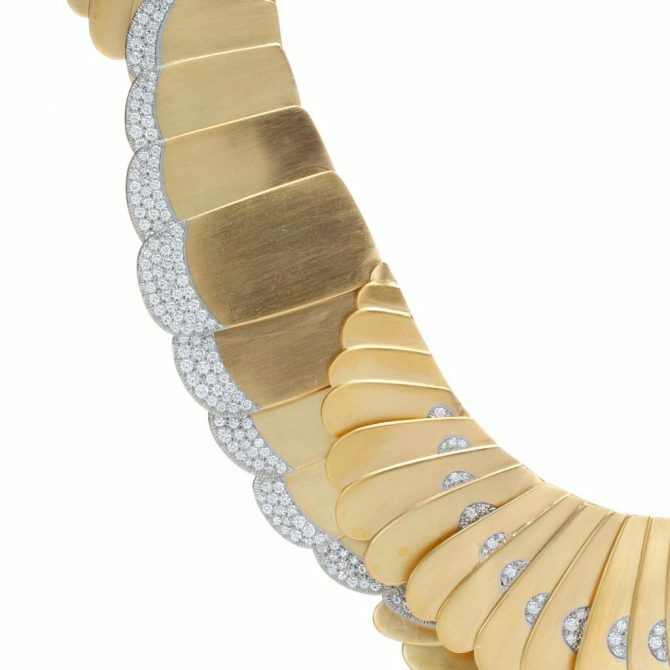 Detail of the vintage Wing necklace from the Tiffany Archives worn by Greta Gerwig at the 2018 Golden Globes. Photo Tiffany & Co. The necklace Greta wore was made in 1980. It is composed of 18K gold and set with 433 diamonds in platinum. The white metal is delicately engraved along the edges to echo the pattern of the yellow gold. Each one of the segments move in order for the jewel to lie naturally on the wearer. “The powerful and ethereal design was inspired by a bird’s wing,” explains Cristina. 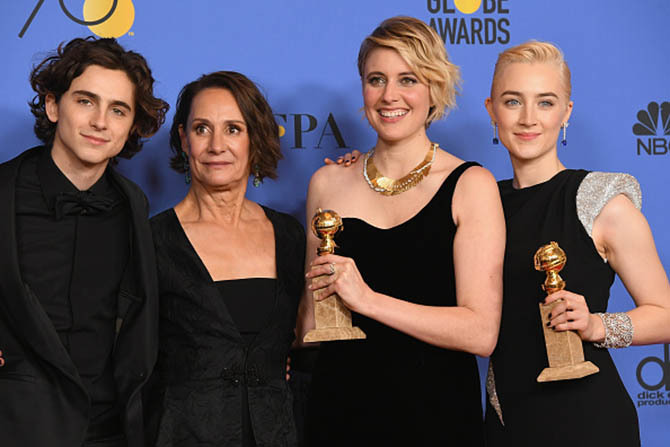 In other words, it was a perfect symbol for the Lady Bird director who flew home with the Golden Globe award for Best Motion Picture, Musical or Comedy.